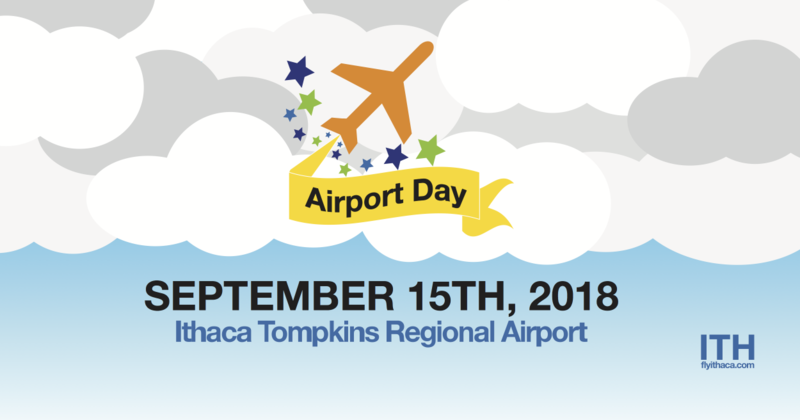 Home > News > 5 Reasons to be Excited for Airport Day! There’s no better opportunity to stretch your muscles than with the 5K race across the airport’s runway and taxiway. Don’t worry, we’ll go easy on you! We chose a flat surface for the running course so you can reach your full potential more easily! And when you cross the finish line the festivities will be there waiting for you. You Haven’t registered yet? Click here! It’ll only take you a few minutes, and remember, the race will start at 9:00, so be ready! If you’re like us and you firmly beleive that breakfast is the best meal of the day, you’ll simply love Airport Day. East Hill Flying Club is preparing the fluffiest pancakes at 10:30 and if you want something a little heartier, we’ll have the best food trucks ready to satisfy your every craving. All yout Ithaca Fest favorites will be there! Oh, and don’t forget to stay for the Great Ithaca Bake-Off, it’ll be an intense competition! Are you a flying fanatic? A history buff? We certainly are, and the guys at East Hill Flying Club even more so. What better chance to let them take them you on a ride? It’s an opportunity children and adults alike can enjoy! And if you’re more of an spectator, why don’t you check out “Tommy”? Ithaca’s very own WWII biplane will be on display for all to see. Might be your last chance to catch it before it gears up for its centennial flight on September 29th! The Rotary Club, the SPCA of Tompkins County, and the Cancer Resource Center are just some of the many wonderful charities that support our community. We are honored to return the favor by donating all Airport Day proceeds to them. What better way to have their back? They always have ours! This year has been amazing for us! We were awarded the Distinguished Business of the Year Award, the Tompkins Chamber. And don’t forget that, in agreement with New York State, we won a $24.5 million dollar renovation and expansion of the airport’s facilities. We also became fully serviced by jets, but that’s not all.. We’re launching a new Washington DC service this October 4th! There’s a lot to celebrate, ITH is growing and prospering, and it’s thanks to you. Let us celebrate you! Have we convinced you yet? Come party with us this Saturday September 15th. Let us come together as the wonderful community that we are on this Airport Day!